Dead batteries are a nuisance. Dead CAR batteries is an even more irritating nuisance. Car can't start? 85% of the time, when a car can't start, it's because of the battery. If your vehicle can't start, the first thing you should try is to ask someone if they have jumper cables and see if they can assist you in jumpstarting your vehicle. Our word of caution though, your vehicle could be damaged if the attempt of jumpstarting your vehicle is done wrong, done with the wrong car, or done with the wrong set of jumper cables designed for specific use(s). We, at Oahu Towing Company, are properly trained to bring your vehicle back to life by way of jump starting. We use certified equipment to give your car the juice it needs for its "heartbeat" to start roaring again. 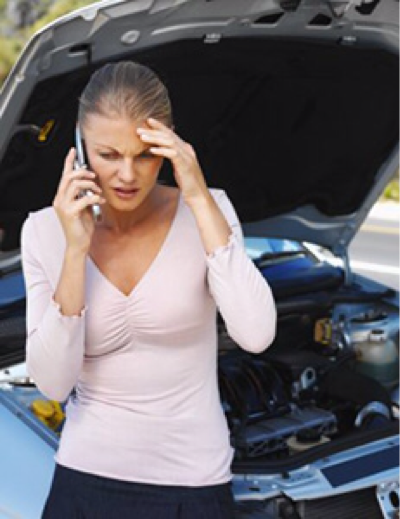 If your vehicle still can't start, we have the proper roadside assistance training to troubleshoot and possibly remedy your vehicle to get you back on the road. We offer battery change service if we find that your battery is the problem and can't be jumped. If all else fails, we have a tow truck! It all works out. Call us at (808) 425-9250 for a battery jump, battery change, or a tow.